3 Nights at 5* Melia Villaitana Resort, Benidorm, B/B. 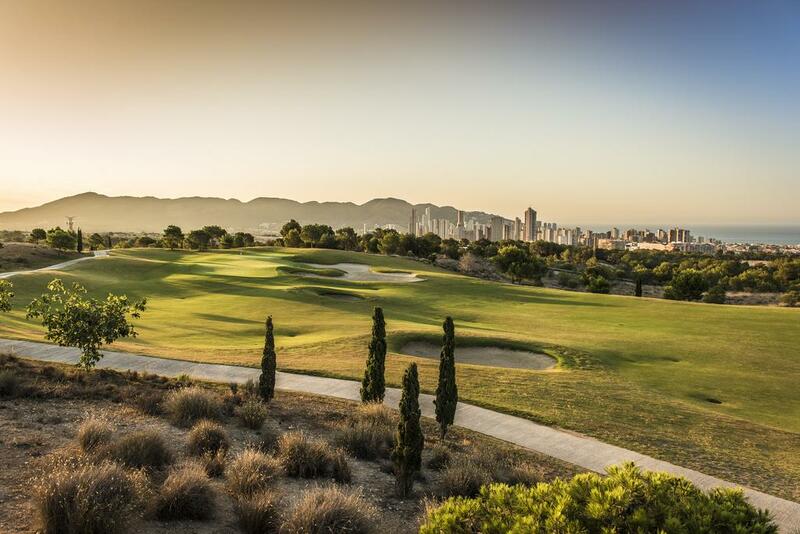 2 rounds of golf at: Levante + Poniente. 3 Nights at 5* Melia Villaitana Resort, Benidorm, B/B. 2 rounds of golf at: Levante + Poniente. Shared buggies inc at both courses. Airport return and all golf transfers. Based on 4 persons sharing 2 x Twin Rooms. 1 Free in 8 Offer. The Costa Blanca consists of around 200 km of Mediterranean coastline in the Spanish province of Alicante, extending from Gandia in the north, through the popular holiday resorts of Denia and Javea, a number of smallish resorts such as Moraira, Altea and Calpe which are particularly popular with Spanish tourists for holidays and mini-breaks, the ever-popular Benidorm, and to the south of the city of Alicante all the way to the development of Torrevieja. Around here marks the beginning of the Costa Calida. Most visitors to the Costa Blanca arrive and depart through the international airport at Alicante, although Valencia is just a short distance further to the north, offering alternative connections. With some of Spain’s oldest and most famous golf courses, and the reputation as the “Costa del Golf”, many golfers visiting Spain for a golfing holiday head straight for the Costa del Sol, but over the last few years the standard of the existing golf courses on the Costa Blanca has improved and new ones have been established, making golf breaks on the Costa Blanca an interesting alternative. Currently in this part of Spain, sometimes referred to as the “Costa Mediterranea”, there are 13 golf courses, four of which are within easy reach of Moraira. All the Costa Blanca golf courses are affiliated with the Spanish Federation and consequently can validate members’ handicap internationally. The renowned white sandy beaches from which the Costa Blanca derives its name deserve their reputation as some of the most appealing in Spain, and the sunny yet mild climate of this region, considered by the World Health Organization as one of the best in the world, contributes to its popularity, making it an ideal destination for a golf break. Rent a luxury villa or apartment on the Costa Blanca, enjoy the fragrance of pine covered mountains, almond trees and orange groves, and relax in the calm atmosphere of the Costa Blanca for a perfect golfing holiday or golf break. The various traditional Spanish towns along this stretch of coast offer a wide choice of dining options, and the entertainment possibilities are endless, from water parks and theme parks such as Terra Mitica, to the more traditional bars and clubs of the famous resort of Benidorm. 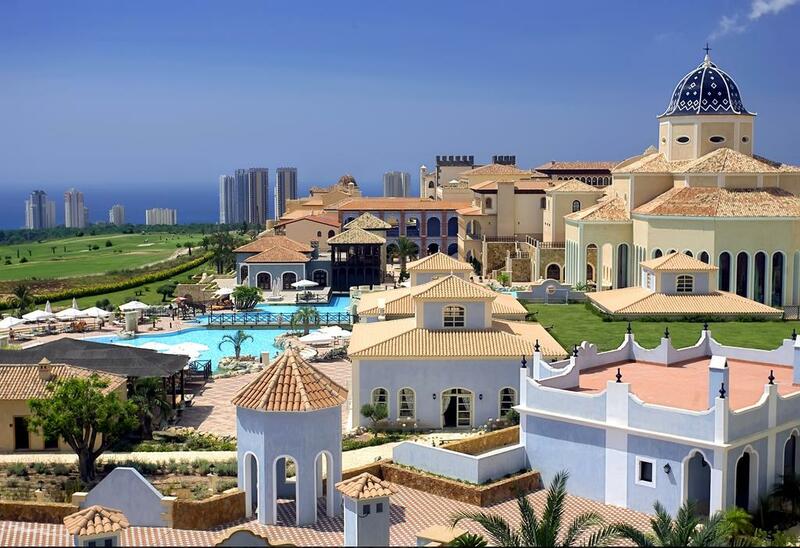 Amazing deals for golfing holidays on the Costa Blanca can be found, offering excellent value for money and a pleasant option for golf enthusiasts.